*Note: The event dates have been changed due to ice in boat ramp areas. A BIG BIG THANK YOU TO ALL OUR FALL 2018 ANGLERS. 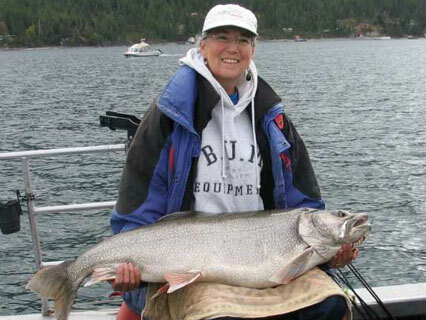 The spring and fall events had a total of 51,731 lake trout entries. Visit the Stats page for information on Spring 2018 Statis and Winners. If you need to contact someone immediately, call Cindy at 406-270-3386. Otherwise, you can use the form below. Thank you! Kwataqnuk in Polson is offering a 2018 Mack Days Special: $110 includes 1 night stay, $30 food voucher, and boat/trailer parking. Click here for the flyer or visit Kwataqnuk.com. To save staff time, we will only do fish pick-ups at Big Arm and Polson if we get a call that someone will be there with fish. Visit this page for detailed information about Blue Bay Campground. All anglers should secure their vehicles in the parking lots. Make sure everything is locked up! PLEASE CAREFULLY IDENTIFY YOUR CATCH! It is very important to correctly identify each fish you catch-especially the smaller fish. It can be difficult to tell small bull trout from small lake trout. If you are in doubt about the identity of the fish, put it back. 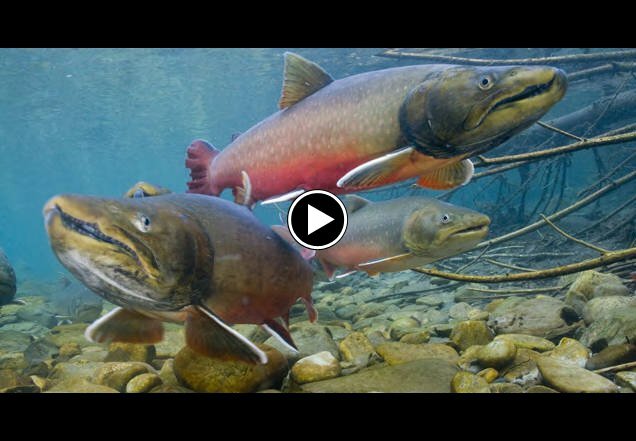 We had an unacceptable level of bull trout catch and harvest during the 2011 contests. This undermined our objective to benefit native fish and threatens the future of the contests. Bull trout have no black spots on the dorsal fin, and orange spotting on the sides of the fish can be very light and difficult to see. Examine the top of the back. Spots on a bull trout will be distinctly rounded and uniform. Flatten the tail out wide. Bull trout will have a tail that is squarer than lake trout. Although some smaller bull trout will have a slight V-shape and can be confused with lake trout. Please carefully study the fish ID page on this website. We are required to report all bull trout entries to the authorities. Let’s strive for zero mistaken identities this year! 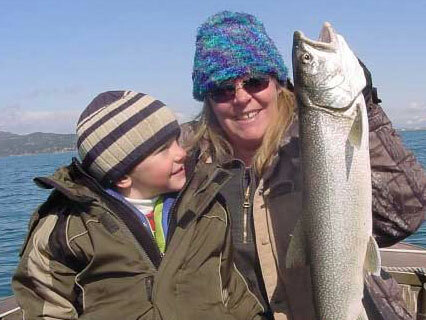 Fish are part of a healthy diet, but you need to make sure the lake trout you eat are safe. 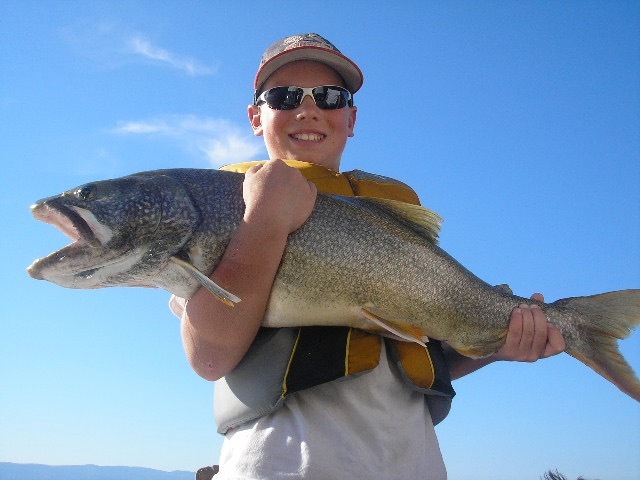 Take a look at the Flathead Lake Lake Trout Consumption Guidelines by clicking on the download button below. Note that the docks at KwaTaqNuk, S & K Marina, and beginning October 1st, Sunny Shores in Big Arm will be open. That means if you put in at Blue Bay and a storm comes up and you need to put in somewhere temporarily, you don't need to go all the way back to Blue Bay. Be safe! 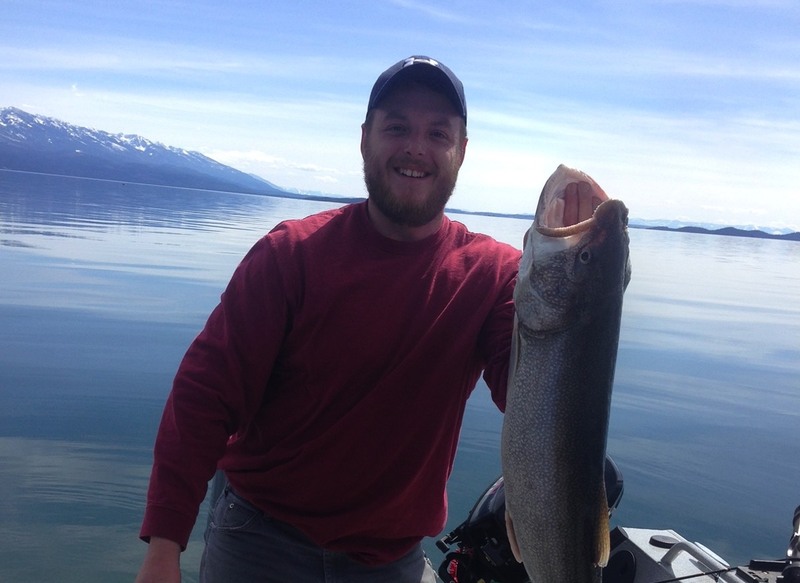 Several questions and comments have been received about a bounty system for lake trout. Fisheries staff is investigating that possibility for future events. Be sure and check out the Montana FWP Validation Decal on your boat. We require that anglers to be present to win any merchandise prizes. The lottery cash prizes will be mailed to anglers who are not present. The Tribal Fisheries Program is continuing to estimate the size of the lake trout population by means of the mark and recapture method. 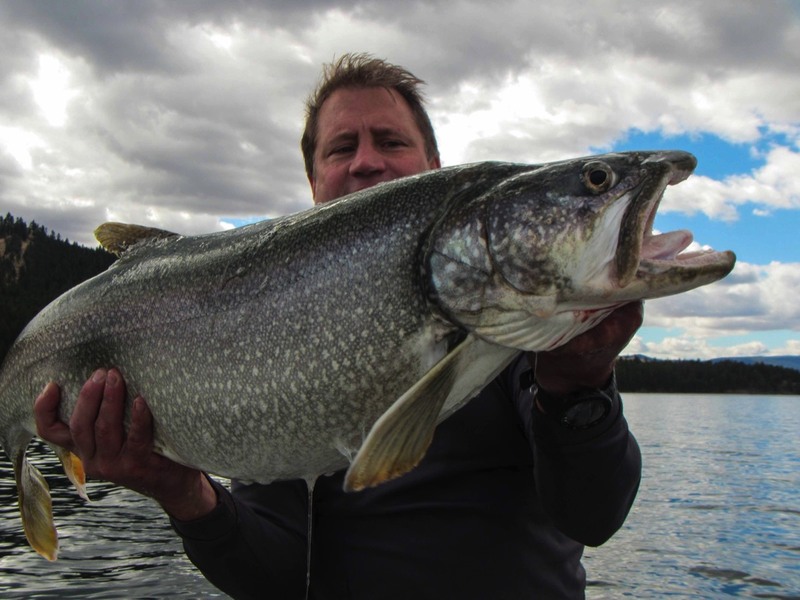 As we continue our efforts to increase harvest, it is increasingly important to demonstrate how increased harvest affects the abundance of lake trout. We need to tag a large number of fish to get a good estimate, and we request your continued help in this effort. More tags in the lake mean better population estimates and better opportunities for you to catch tagged fish. The fisheries program staff will be on the lake to collect fish from anglers for tagging on most Fridays during the contest. We will try to restrict our activities to smaller portions of the lake so that we can approach anglers several times during the day to collect their fish for tagging, and so that you can be aware of when we will be returning to your site. We will keep track of each fish we take from you and report that information to Cindy. If you have several live fish and have not seen fisheries program staff on the lake please call my cell phone and we will respond as quickly as possible. 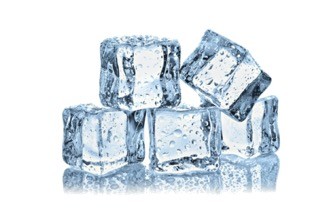 If you don’t have a live well or large cooler, we could possibly lend you one so that you can keep your fish in a healthy condition for release. Note that we cannot take fish that have been punctured to reduce the air in their bladders. 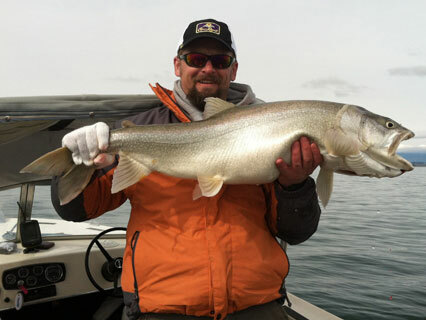 To tag a lake trout in order to put back into the lake it has to be in good shape. My cell phone number is 406-270-3386. 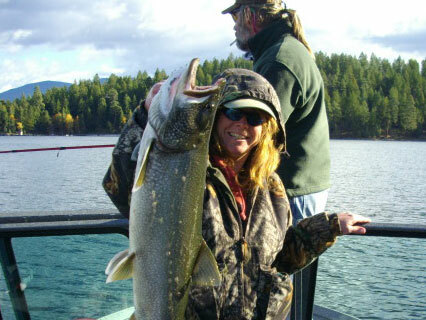 Thank you for your participation in Mack Days and your efforts to help increase native fish abundance in Flathead Lake. Please review what’s recommended to make sure you are not needlessly wasting your catch. Please review what’s recommended to make sure you are not needlessly harming fish you release. Check Out this article on Hook Sharpening, which is key to proper maintenance of your tackle. Check Out this article on Mysis Shrimp, an important food source for lake trout. During the Mack Days event, listen to Cindy's live updates on Montana Outdoor Radio Show each Saturday morning between 7:00 and 7:30 (exact time will vary somewhat). *Note: The start date has been changed from the 15th to the 22nd due to ice in boat ramp areas. 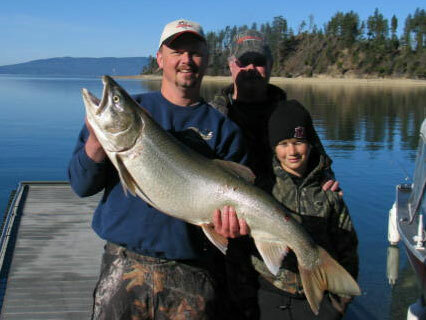 The spring and fall events had a total of 51,731 lake trout entries. Visit the Stats page for more information on Fall 2018 Statistics and Winners. ONCE AGAIN, YOU MADE MACK DAYS AN ENORMOUS SUCCESS! 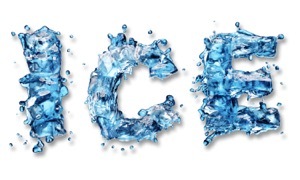 *Note: The start and end dates have been changed due to ice in boat ramp areas. Alert: Please stay at least 300 feet from the Biological Station's two new instrumented buoys in Flathead Lake to prevent entanglement of your fishing lines with the cable that goes from the surface of the buoy to the lake bottom and to avoid damaging this expensive equipment. The Flathead Lake Biological Station (The University of Montana) at Yellow Bay has worked with Woods Hole Oceanographic Institute to develop 2 large buoys that will be placed in Flathead Lake this week. The buoys provide a platform for a suite of instruments that allow continuous, automated measurements of water quality in the water column and meteorological conditions on the Lake. Conditions in the water column are measured by sensors on a device called a profiler that travels up and down a cable from the buoy 10 the bottom of the lake. The meteorological sensors are mounted on the buoys. The buoys will be located at 2 places along the deep trench in the middle of the lake. One will be deployed west of Yellow Bay and the other west of Woods Bay. These monitoring systems were originally designed for me in the Arctic Ocean by Woods Hole Oceanographic Institute but have been modified for use in Flathead and Crater Lakes. Data generated from the surface meteorological sensors will be radio telemetered back to the Biological Station while water quality information from the automated subsurface profiler will be telemetered via satellite to Woods Hole and the Biological Station. All data will be available near real time 10 the public via the Station's website (http://umt.edu/flbs/). The meteorological station will measure and provide instantaneous wind speed, wind direction, barometric pressure, air temperature, solar radiation and humidity every 15 minutes. The subsurface automated profiler will travel down through the water column at least 4 times per day. Sensors will measure water temperature, dissolved oxygen, conductivity, algal pigments, light, and dissolved organic matter every 25 centimeters as the profiler travels from the surface to the bottom. Video surveillance for security purposes will be present on both buoys. Information from the buoys will give boaters, midlake weather conditions making it easier to plan open water travel. Fishermen will be particularly interested in temperature changes throughout the water column, allowing them to concentrate on fishing particular thermal regions. Federal, state, county and tribal agencies a. well as local schools will benefit from the wide array of water quality information for Flathead Lake while data generated from these 2 sites will provide scientists at the Biological Station better resolution of changing conditions in lake water quality and surface meteorology. Funding for the buoy-tethered profilers was provided by a grant from the National Science Foundation. Boaters are asked to stay at least 300 ft away from the buoys (about the length of a football field) so as not to disturb the measurements or destroy the sensitive equipment. 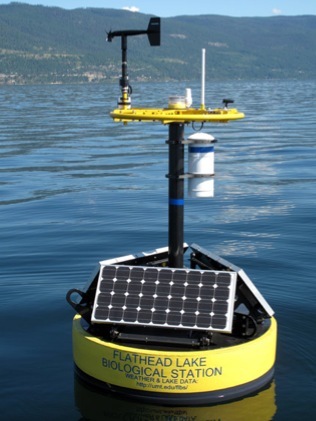 Information from these buoys is extremely important for conservation of Flathead Lake. We ask that every""" become a lake guardian and support our joint efforts in providing information that will keep Flathead Lake blue. Please contact the Biological Station if you have any questions or concerns (9&2-3301 daytime; 250-1006 or 250-0911 evening). We are still working on setting up the website so that the public can access the data. The data is streaming in from both buoys, but we're still working out some of the bugs with a couple of the sensors. In the meantime, the public can access wind speed, direction, and air temperature from a couple of our weather stations that we operate on the east and west shores of the lake. Current conditions at those weather stations are shown right on our homepage (http://umt.edu/flbs/). On our weather page folks can also link to wave height predictions for the lake by the National Weather Service in Missoula. This is the first deployment of an instrumented profiler for a rough lake like the Flathead, but so far so good. Although the view from our live webcam is pretty fuzzy, you can check it out as well. We're so thankful that there hasn't been any vandalism but boaters are getting too close to the buoys. Those anglers that are trolling need to stay at least 300 feet away from the buoy (about the length of a football field), particularly if they are turning toward it in any way. Their fishing line could become entangled in the cable that extends from the surface to the bottom. Even sailboats need to stay far from the buoys to avoid collision, which would be damaging not only to the expensive equipment but to the boats and the occupants as well. The instrumented buoys weigh over 3,000 lbs. But, we're glad they are interested and hope they keep a close eye on it for us. All recreationists can help by telling other boaters about the importance of the instrumented buoys in monitoring water quality and where they’re located. As you know, one is west of Yellow Bay and the other is west of Woods Bay. At night, a safety light blinks about every 4 seconds. The Fisheries Program has placed two trap nets in the Narrows area to assist in our lake trout harvest program. 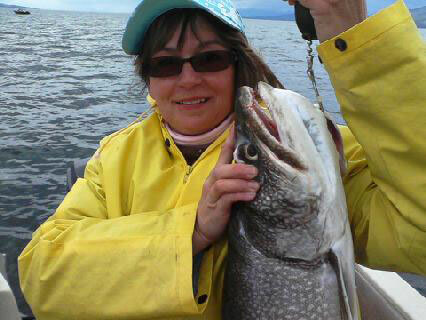 The nets allow us to target lake trout and to release other species unharmed. Each trap is marked with several white surface buoys and several orange staff buoys. PLEASE AVOID THESE AREAS. The traps will be in place potentially until late November. Thank you for your cooperation, and call Cindy at 270-3386 or Barry at 396-2836 if you have any questions.